Another Manifestation, Eggs and Satire! 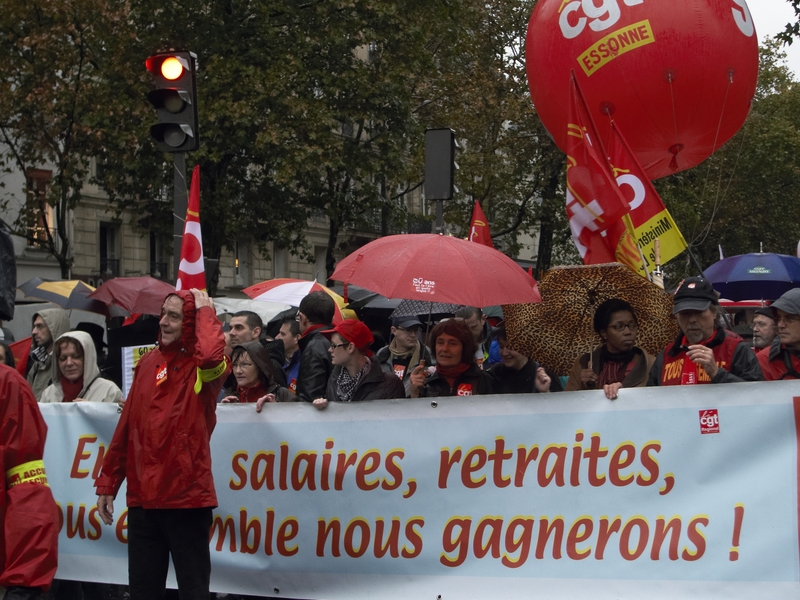 SATURDAY 6th OCTOBER – Place de la Bastille – and yet another manifestation about the French pension reform. The mild pension reform has passed into law, the tear-gas has dispersed and petrol has returned to the pumps – but still they took to the streets. Even the heavy rain didn’t dampen their spirits. 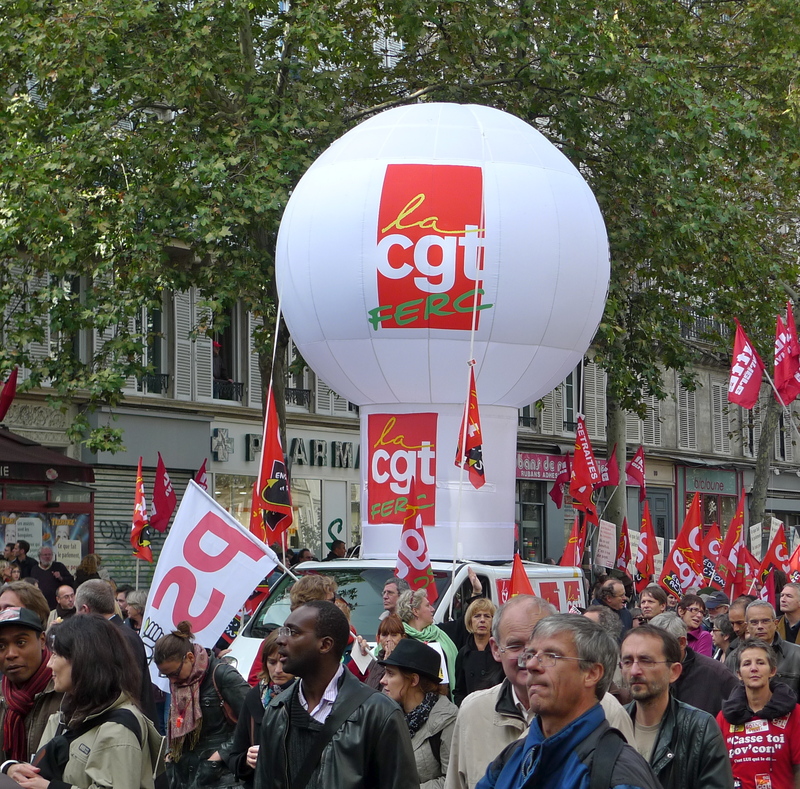 This manifestation was led by the CGT, Confédération Générale du Travail, the largest French trade union and, although a large demonstration it was nothing compared to the one that took place in the same place on 16th October. That had huge popular support and people turned out in massive numbers to express their opposition to the pension reform. As a passive observer, I couldn’t help feeling that this latest demonstration was largely made up of the hard-core activists determined to keep the fight going even though the battle is lost. So often in the past, French governments have given in to the voice of the street sometimes by repealing legislation that caused the protests after it has been enacted into law. We shall see if that happens this time – but somehow I doubt it. And maybe it is because the CGT doubt it too that there seemed to be a harder edge to this latest protest – a last gasp of desperation maybe. I’ve said before that whilst the participants take these protests very seriously, they are almost always good-natured affairs. But just occasionally, someone doesn’t stick to the script. On Saturday, for the first time for a long time, I saw and encountered first-hand, some unpleasantness. At the corner of Place de la Bastille and Boulevard Beaumarchais stands a BNP bank. I rounded the corner into Boulevard Beaumarchais to record the manifestation when I was confronted by three youths wearing white face masks. Their ghostly appearance and aggressive demeanour indicated that they were not going to simply ask if I was having a good day! Instead, they were intent on throwing eggs at the two cash points in the wall of the BNP bank just behind me. Unsettling – yes, but as violence goes I suppose it wasn’t all that important – save for one of the eggs missing my right ear by a whisker. And what did their particular form of protest achieve? Absolutely nothing, except perhaps for demeaning the thousands of other protestors who genuinely believed in their cause – not to mention the waste of eggs. By contrast, there was something to cheer about – this wonderfully satirical take on the French Président, Nicolas Sarkozy. Enjoy! 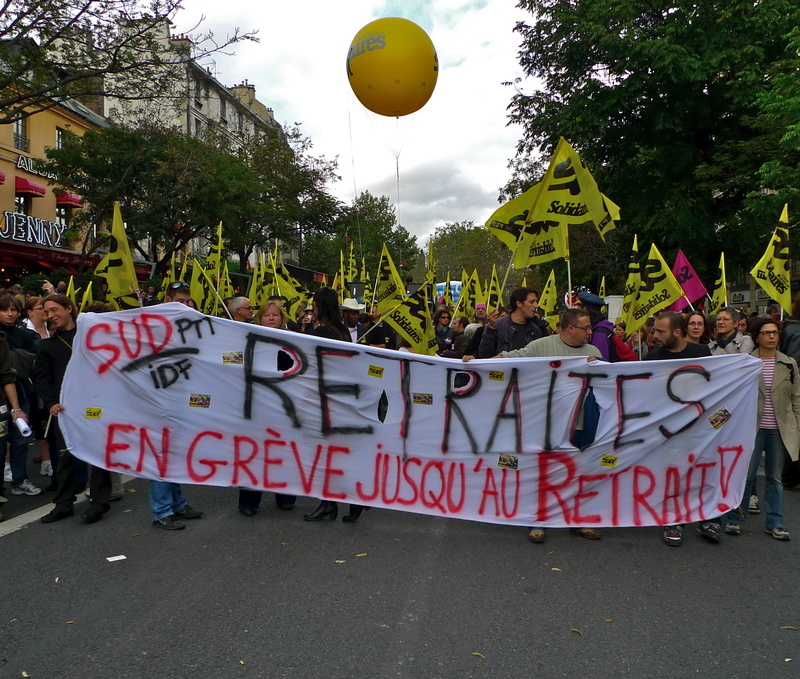 Another Saturday and another manifestation – another in the series of protests and strikes against the Government’s plan to increase the pension age here in France from 60 to 62. As usual, the starting point yesterday was the Place de la République where an enthusiastic crowd had gathered when I arrived. 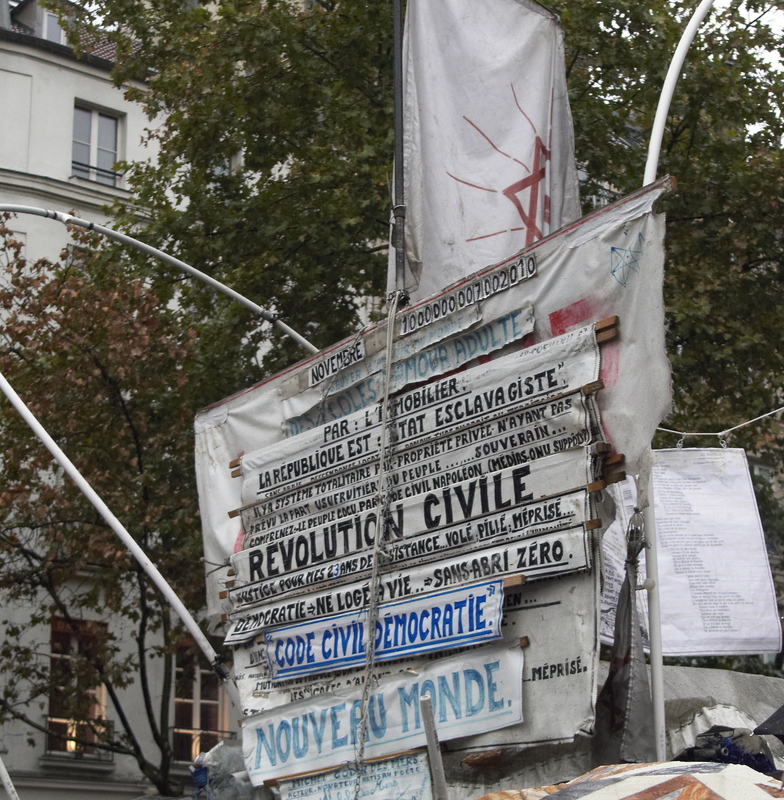 The number of people protesting was huge and they completely filled the streets comprising the route from Place de la République to Nation via Place de la Bastille. 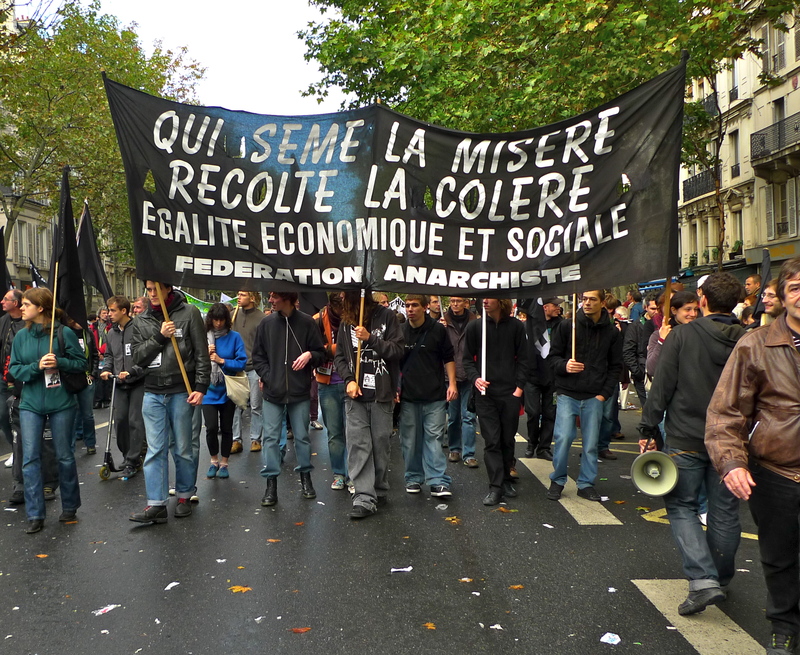 This manifestation was made up of all sorts of people representing all sorts of organisations – including these anarchists. It also included a rich cocktail of unions and students … historically a potentially potent combination in France. And, of course there was the usual rich tapestry of sound to be heard. I find the subtle changes in the rythymn and repetition of the words in this sound clip fascinating. Of course there is a another way … simply to explain what the message is but if that doesn’t work then add some more chanting.. 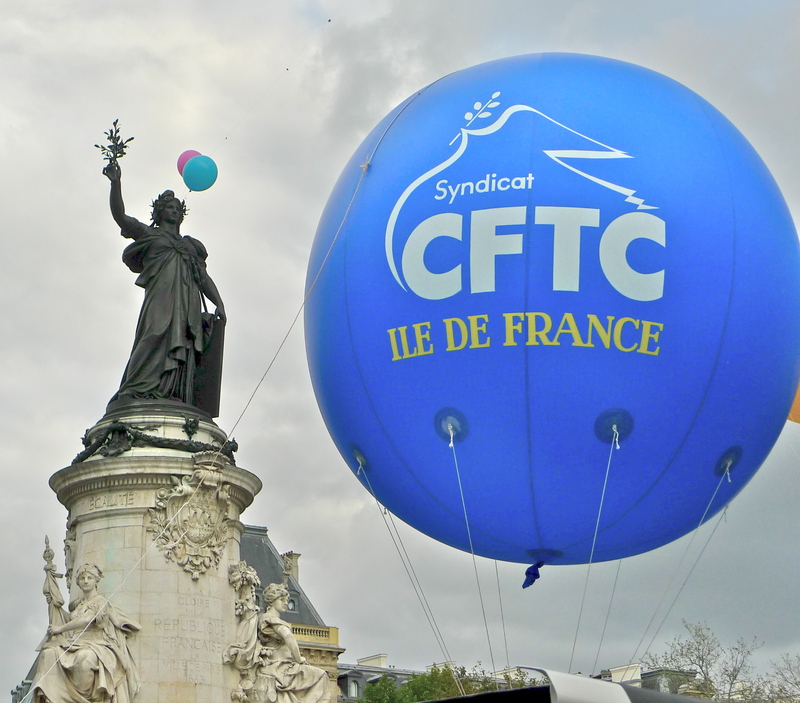 The next manifestation about pension reform takes place on Tuesday 19th October. I am not by nature a protestor. But I am delighted to live in a country that not only allows free protests in the streets but also a country that has turned protesting into an art form. 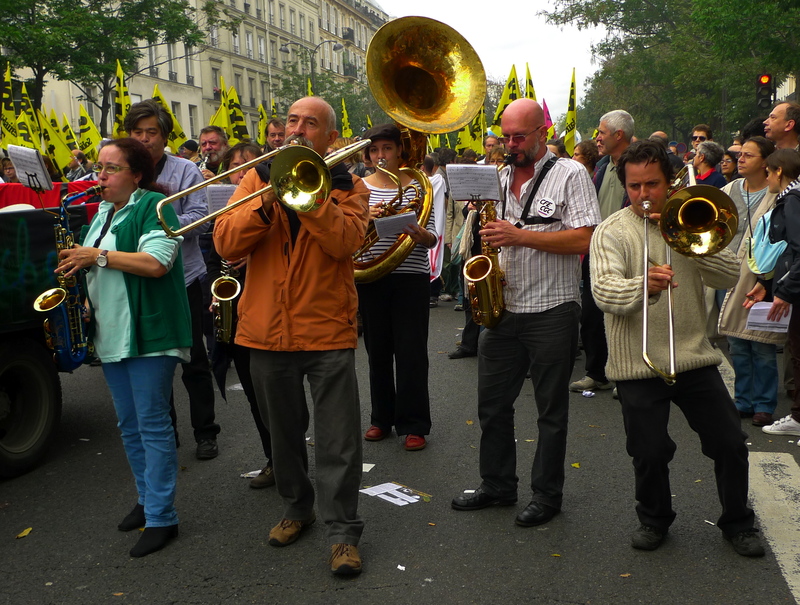 In France the street protest or the “manifestation” is a way of life. The French do it all the time, they protest about anything and everything. 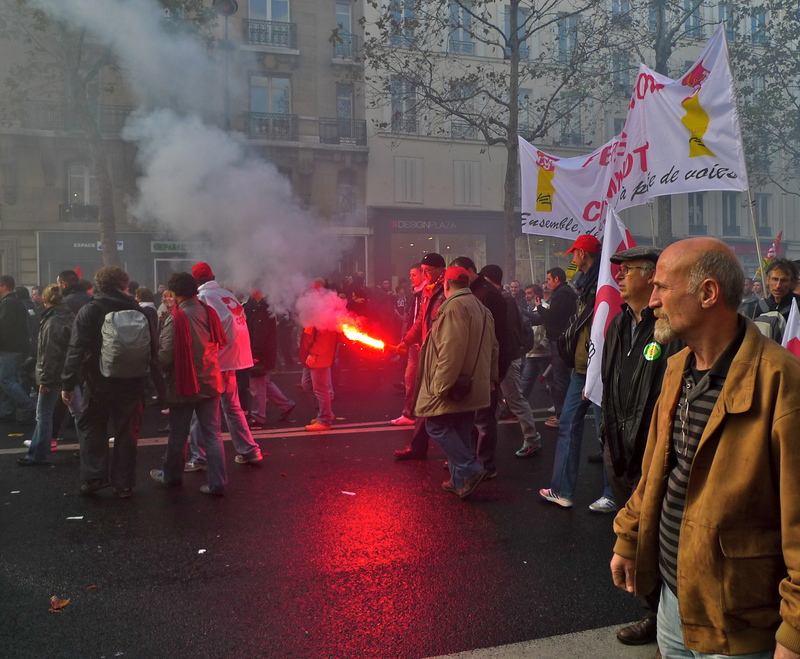 Saturday 2nd October – the axis between Place de Bastille and Place de la République … a solid wall of people marching, singing, chanting, shouting – protesting. Paris has many beautiful sounds but it also has cold, raw sounds too, all of which make up the wonderful Paris Soundscape. And what are all these people protesting about? Pension reform of course. 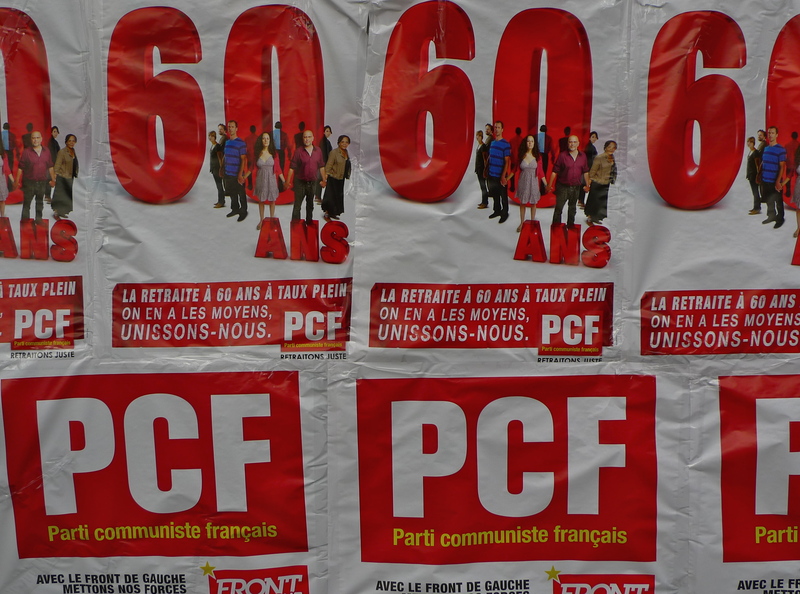 While some countries in Europe are contemplating raising the retirement age to 70, the French government is taking the modest step of raising the retirement age in France from 60 to 62 – and the people don’t like it. This was a huge demonstration, so big that the route was split into two parts. One part left the Place de la République and marched down the Boulevard du Temple, the Boulevard des Filles du Calvaire and the Boulevard Beaumarchais to Bastille while the other part left République and marched along the Boulevard Voltaire and on to Nation. I followed the part of the demonstration heading for Bastille. As always, the manifestation was loud with people determined to make their views known but it was also, for the most part, good natured. Whatever the rights or wrongs of the politics, I was only concerned with capturing the atmosphere of the manifestation but I was also fascinated by the tribal quality of the sounds, the chanting, the repetition of phrases, the leaders and the followers. Listen to how one man by using rhythm and repetition whips the crowd to a near frenzy. 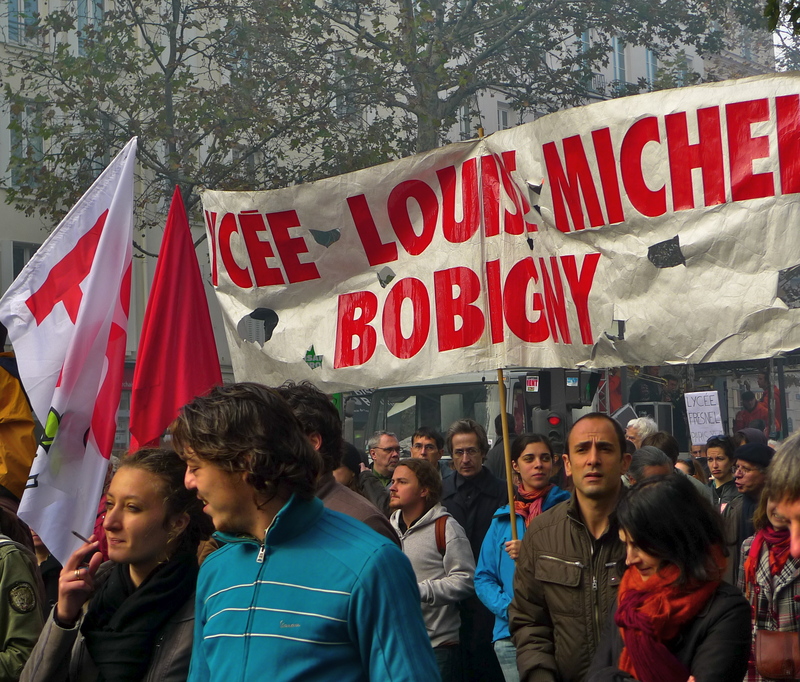 Street protests in France are often much misunderstood. What may seem to those who don’t live here as extreme political protests are in reality usually no more than ordinary people expressing their voice – a voice that is more often than not listened to by the Government. Long may the freedom of speech and the freedom to protest continue.